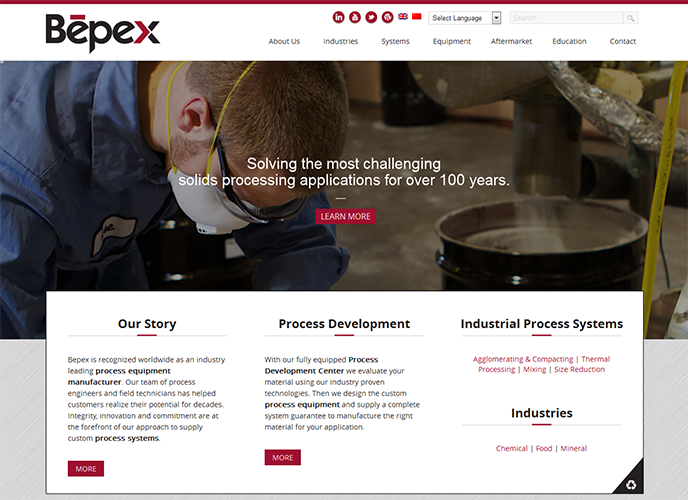 Bepex is recognized worldwide as an industry leading process equipment manufacturer. Integrity, innovation and commitment are at the forefront of Bepex’s approach to supply custom process systems. 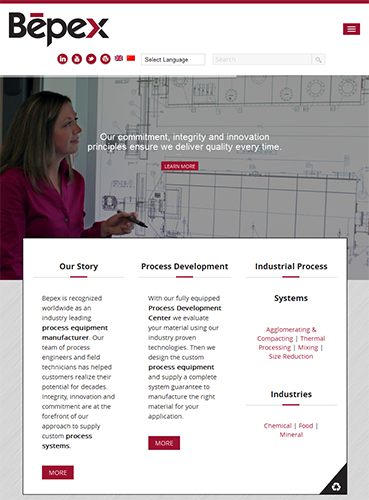 Keeping this in mind, BestHive offered a CMS based web design to cater a more modern and industry competitive look.